Notes This album highlights the music of the Sephardic Jews, focusing largely on those songs and prayers that originated in Spain. Many different countries are represented in this album including Turkey, Iraq, Morocco, and even Holland and England. 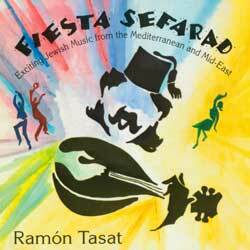 Tasat's interest and respect for the history of Sephardic Jews can be heard the songs chosen for this collection.